Just recently, I interviewed the author of ZEROBOXER, Fonda Lee, and got to find out what Harry Potter houses her characters would be sorted in, what her writing journey was like, what she wished she’d known about publishing and much more! In addition to that, I’ve also been working hard on the redesign of my middle-grade review blog, Tweens Read Too. 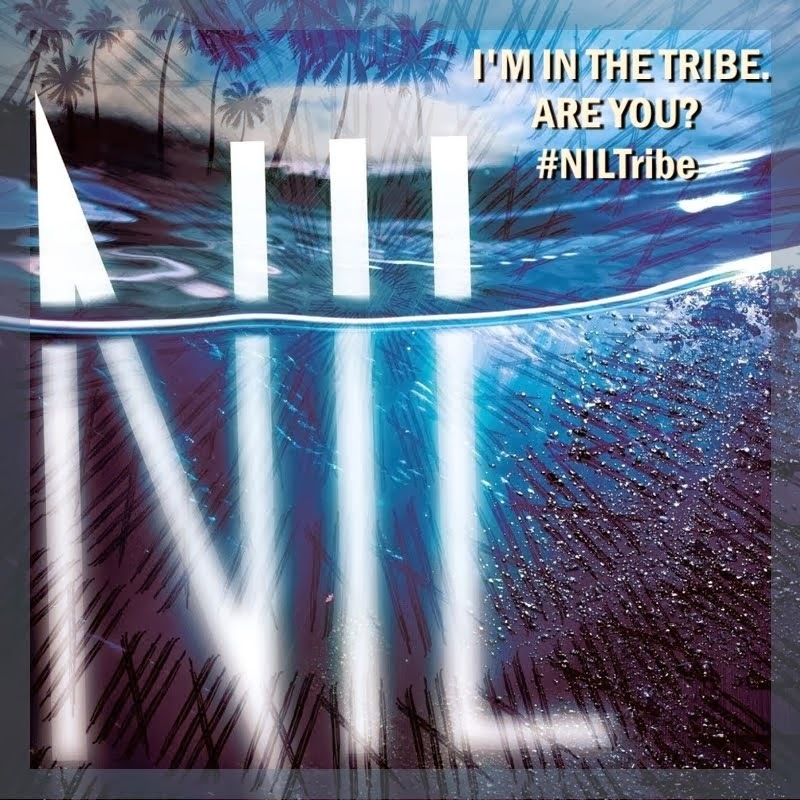 Head on over to get a look at what it’ll be like from now on. I’ve got a lot planned out, so be sure to stop by, comment and subscribe! Silver Words Week: I’m Moving to a New Blog! So technically it’s not a new blog, the blog I’m moving to is called The Silver Words, and it’s the .com (custom domain) version of RealityLapse. I’ve had a lot of fun with RealityLapse, and it’s been a great experience blogging here, and this is just the next step in my journey as a blogger. I’ll be celebrating the release of The Silver Words with fun authors and bloggers and having a huge giveaway, so be sure to check out the festivities. Thanks to everyone who has followed RealityLapse, whether you’ve been here since the very beginning or just recently found out about this blog. I couldn’t have made it to this point without you, and I hope you continue to enjoy the content I post. Thanks, and I hope to see you over at The Silver Words! Description taken from Goodreads. I received an advance copy of this book, to be published February 3rd, 2015, via the publisher in exchange for an honest review. These opinions are my own. This book was incredibly surprising to me because I, in no way, thought I would like this book as much as I did. Sure, it has an interesting plot, but it carries that plot all the way out until the end–and doesn’t release until it’s done. There are so many great themes to SOULPRINT, and I felt like every single one of them was unique in it’s own way. I loved the idea of soul printing, and the world-building behind this book is entirely real. I can quite literally see Alina’s world through the United States, or even the Canada, of today. For those people who feel like dystopian/future-based novels just aren’t plausible enough, I urge to try SOULPRINT. It wasn’t even the setting in SOULPRINT that really stuck out of me in the beginning. It was Alina, and the characters around her. The very first thing I thought when I heard her name was Marie Lu’s Alina, and I expected this (somewhat) to end up being a villain’s story. But’s it’s not, in a weird way, and that’s a lot of the beauty of SOULPRINT. She’s flawed. She longs for revenge, even when revenge is probably not the smartest thing to be thinking about at the moment. She’s smart but can make stupid decisions. She wants to be free, and she doesn’t want to be judged by people. She even fears that June really is her, at the core. There were so many things I loved about Alina that were really just nuances of her, and that was why I felt like she was perfect for this story. I did feel like the other characters were solid as well, but I didn’t love them as much as her. SOULPRINT was a great, really fun read for me. I would definitely recommend it, even though I was slow to like it in the beginning, and will be rereading. 4.3 stars. Just so anyone reading this knows, this book is nothing like UGLIES by Scott Westerfeld. I repeat, CONTROL is nothing, nothing and nothing like UGLIES by Scott Westerfeld. Please do not believe it is. If you were interested in this book at any one point in time, I would strongly encourage you to go read the XMen comics. Not a fan of comics? Maybe try Transparent by Natalie Whipple or The Rise of Renegade X by Chelsea Campbell. I would also strongly encourage you to read Uglies, but I would not recommend CONTROL. Here’s problem one: the hater, who just happens to be the main character. She hates on everyone. Her father, her younger sister, the people who just try to help her, and here’s problem two: the only person she doesn’t hate on is the biggest jerk on the planet. His name is Cy, and his wonderful, super amazing power is that he can regenerate skin fast enough to have a new tattoo every single day. He also seems to be an abusive sadist who fantasizes about gore. I’m telling you, I can’t make this stuff up. This is actually the guy. Problem number three: no world-building. Whatsoever. Whatever semblance of world-building exists entirely on the concept of suspended disbelief. You think the movies are bad? Read this book. Uniforms exist in every single state, for adults, and the sky isn’t visible because there’s a structure for growing plants because apparently there is now no farmland in Kansas, Iowa or Nebraska. Yup. Definitely no farmland to be found anywhere near here. Guess we gotta build a structure in the sky. And Alaska is a separate country now. Problem four: these so-called mutants with amazing powers have no place in society. They aren’t feared, hated, envied, threatened, they simply exist. CONTROL tackles none of the social issues and questions that were brought up in the XMen comics and TRANSPARENT. I just couldn’t deal with CONTROL. It was an exhausting book to read and I didn’t get anything I wished for. Zel hates on everyone around her as well as herself and there is 0 to no character growth in this story. Would not recommend. 1 star. Description taken from Goodreads. I received an advance copy of this book from the publisher in exchange for an honest review. These opinions are my own. LOVE, LUCY was definitely a really interesting read for me. It was sweet, quick, beautiful and hilarious on separate occasions, but also all at once. This is the first YA book I’ve read that is set in Italy and it about travel, and I decided to read it as a sort of jumping-off point to see if I would enjoy books like it. There were a ton of things that I loved. The scenery, for one thing. I felt like I truly was with Lucy in her world, finding new places and new people. The beginning was fantastic, but the middle and the end slowly started to droop down for me. As for characters and the decisions they made, that was an entirely different story. I was unable to connect with many of the supporting characters and at times, I felt like Lucy was a real jerk. I couldn’t find any sense of chemistry between the two love interests, and I felt like many of the characters were selfish, with no endearing traits. I didn’t think that Jesse and Lucy were real at all, their actions later on in the book only adding to that fire. I had hoped to see more from them, but it just wasn’t enough. It really was the world-building and the brief moments of sweetness and thoughtfulness that made me able to enjoy this story. It’s slightly slow paced, but overall it has a good tone to it. All in all, I wasn’t quite sure what to think about this story. I had expected a lot more from it, and I had believed that this would be some sort of light romance that was well-thought out, under the backdrop of Italy. 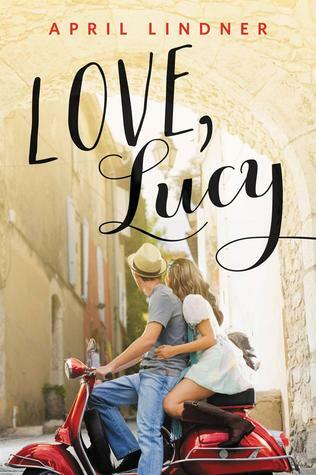 LOVE, LUCY started out well, and I continued to love the descriptions and many of the story snippets to it–but I was disappointed by it. I was just missing the heart and the characters behind this story the entire time I was reading it, and the plot really meant nothing to me. I would recommend this for fans of April Linder and books set in other countries, but overall it isn’t one of my favorite contemporary picks. It is a quick read, and if you can get past the personalities and deicisons of some of the characters it really isn’t a bad one–but this book just didn’t work for me. I would recommend April Linder’s CATHERINE and JANE as well as Kristin Rae’s WISH YOU WERE ITALIAN instead. 1.5 stars. Much thanks to Novl and Little, Brown Books for the chance to read this! Once upon a gif is a feature by Hafsah and Asma at Iceybooks, where a pre-review is written with gifs. 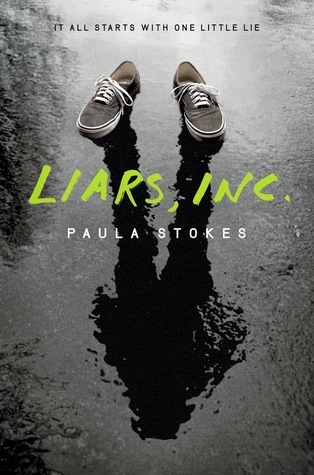 My full review of LIARS, INC. will come out on February 20th, 2015. LIARS, INC. impressed me from the very beginning. It wasn’t stand-and-shout-to-the-world-how-much-you-love-this-book good, but it was exciting, well-written and with great descriptions. Max is one of the more out-of-the-box characters I’ve read. There were so many times when I felt bad for him, or I cheered him on, or he completely disgusted me. For the most part, he was a hero that.. isn’t really a hero at all. Someone could/should do a complete post on the many faces of Max Cantrell. It’d be worth reading. Despite that fact, Max still very much retains who he is at the core (not in a Rob Swanson way, but in a Max way) and it was something I loved about him throughout LIARS, INC. I loved how flawed each of the character in this story are, and it was easy to keep track of the cast because not too many people show up in this story. Stokes take us into a world spun of lies and everything that leads up to Max in a cabin in the middle of the woods facing two FBI agents. The world-building is beautifully done and everything is well organized so that the mystery remains a mystery but it’s easy to understand. And the romance. I will say, Parvati isn’t my favorite YA girl. Far far away. Like where Shrek lives far away. But at the same time, I did like her at times, and I didn’t hate her in the end. 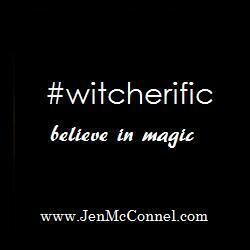 In fact, I rather liked her romance with Max, and I LOVED how this book turned out. Parvati tries to act tough and cool in the beginning, but as time went on I began to see more of a different side of her. It took way longer than Preston and Max and the other characters, but I came to like her. When she does show vulnerability eventually, it makes it more important to the story. Then everything blew up. Not literally, but quite figuratively. The villain was definitely not who I thought they were, and I got so confused (in a good way!) about who was what. Things get more and more messed up, and I came to finally see how perverse it all is. Then something happened that truly threw me over the edge, something I wrestled with for awhile and debated not reviewing this book over. Check back on February 20th to see my full review! THE FINAL FOUR was a lot of fun, in a way that I didn’t expect. I picked up this book because I loved CROSSOVER by Kwame Alexander and SWAGGER by Paul Dertler and wanted another story along those lines. THE FINAL FOUR wasn’t like those books, but it was still great. 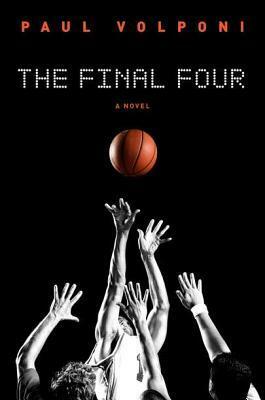 It all comes down to the final four, and this story is told in four different point of views from four very different characters. I can’t say I enjoyed every single part of this story, but it told these stories very well. I thought that each individual character was shown in a way that displayed their differences and how they got to the point that they were at. The story is broken up to the point where it’s almost hard to keep up with sometimes, but I still found myself enjoying it a lot. There are very few bad influences to this story even though it talks about college players, and it’s really about four kids trying to leave their past behind and shoot (intended) for a better future. At times, this story is heartbreaking, and at times it’s heartwarming. There’s some decent trash talk in it and the elements of a fast-paced ball game are in it as well. I can’t say I’m entirely happy with how things ended, but the characters each grew a lot (especially Malcolm) as they really find out what they’re fighting for. I think that kids who grew up on basketball books will really enjoy this story, and help them to come into the world of YA books. It’s fast paced enough to keep a reader occupied, and not hard to understand even for someone who’s not an avid basketball fan. 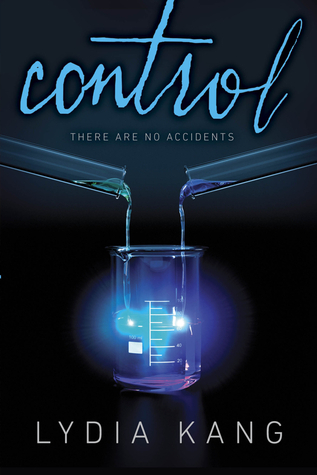 Not my favorite story, but still very entertaining and a fun read that I would recommend. 3.5 stars.